Prices are in UK Sterling and are based on up to 8 people sharing for 9-12 people, please add 10 pounds pppn. .
Children under 2 go free and one free cot and highchair will be provided. For extra cots/highchairs - these can be hired for 30 pounds per week. Changeover days are generally a Wednesday or a Saturday or can be flexible in low season. Please enquire at time of booking. Check in will be after 4pm on day of arrival and check out at 10am to allow for the villa to be cleaned for the next arrivals. Every effort is made to accommodate early/late arrivals and the property management team will be as flexible as they can depending on other arrivals. Payment is accepted in Euros or Sterling and 25% deposit is required on booking with the balance paid 8 weeks before arrival. A security deposit in the form of a credit card authorisation form will be completed on arrival at the villa in case of accidental breakages. To book, please email me at karen.shepherd@allazo.co.uk or call 07891 764 875 or +30 694 290 6624 (Greek mobile) or simply complete the enquiry form below. Flights arrive at Diagoras Airport on the north west coast of Rhodes just 14km from Rhodes Town and about 56km from the villa. The main flight days from the UK are a Wednesday and a Saturday with the following airlines offering direct flights. Easyjet also fly on a Thursday and Sunday. Hundreds of flights come into Rhodes from all over Europe and Worldwide and about 10 flights a day from Athens with excellent links also from Italy with Ryanair. 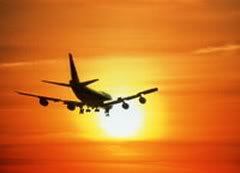 for flight options and direct links to booking sites for routes worldwide. The best way to get from the airport to the villa is by rental car as this will give you flexibility throughout your stay and enable you to enjoy everything that Rhodes has to offer. Contact me for preferential rates on car hire whether you want a small economy car, a jeep, people carrier or a deluxe model. It is about 1 hour to drive to the villa and directions will be sent to you before your departure. I can arrange for a private taxi or taxis to bring you to the villa at a cost of 75 pounds per taxi one way or 145 pounds return (with up to 4 sharing) Please enquire at time of booking. This will mean no waiting in the taxi queue as your designated taxi driver will bring you direct to the villa. Check out A2Btransfers for shuttle bus transfers from the airport to the villa. If you then wish to hire a car when you get to the villa, then I have access to several local car hire firms who have more than 500 cars at their disposal. Subject to availability, especially in high season. There is a local bus that leaves just 50 metres from the villa which is ideal for short hops to the local villages.